It’s a gimlet. We’ll talk about that later. 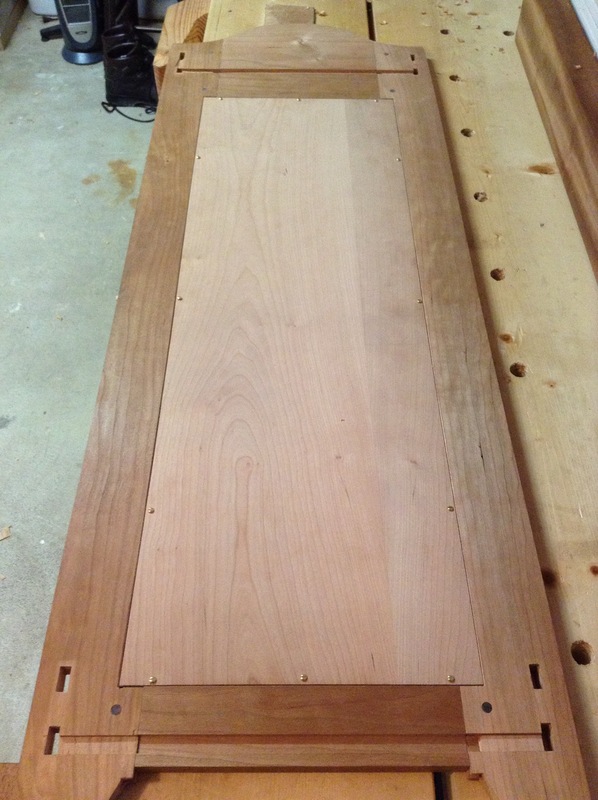 First, I had to trim the 1/4″ cherry plywood panel to fit. I made sure to scribe all my cut lines and cut them with my fine tooth crosscut panel saw…chip-out on this thin ply is hard to tame unless you follow this regimen. The mirror is installed inside a double rebate. 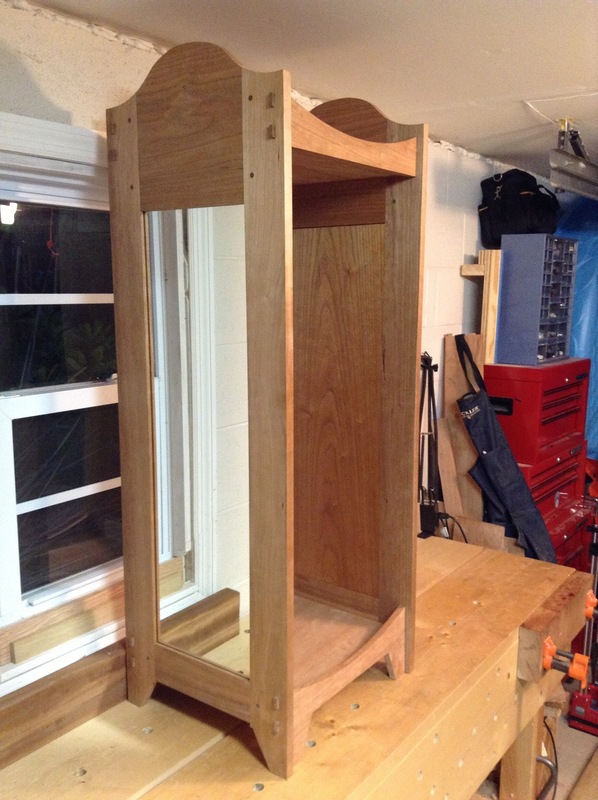 I learned this from the wisdom of Robert Wearing and his book “The Essential Woodworker”. The mirror sits in the first rebate, then there is an air gap followed by the plywood panel which sits in the second rebate. I trimmed the panel with the smoothing plane to sneak up on the perfect fit. Then I came upon a decision, which took me a fews days to decide. I could not decide how to attach the plywood to the frame. I looked at everything from clips to screws. I finally decided on screws. I figured they would be the easiest yet strongest solution should the mirror ever break and needed replacement. I wanted to go with brass screws with the cherry. Another decision…what size and how many? Another couple of days past. I ended up with #6 5/8″ brass screws. I would set them 1/4″ in from the edge of the rebate, and there would be 12 of them. Another decision. Seriously? How to drill for the brass screws? Another couple of days. Enter my new tool, gimlets. This little tool has a lead screw head followed by what looks like a fluted drill bit. 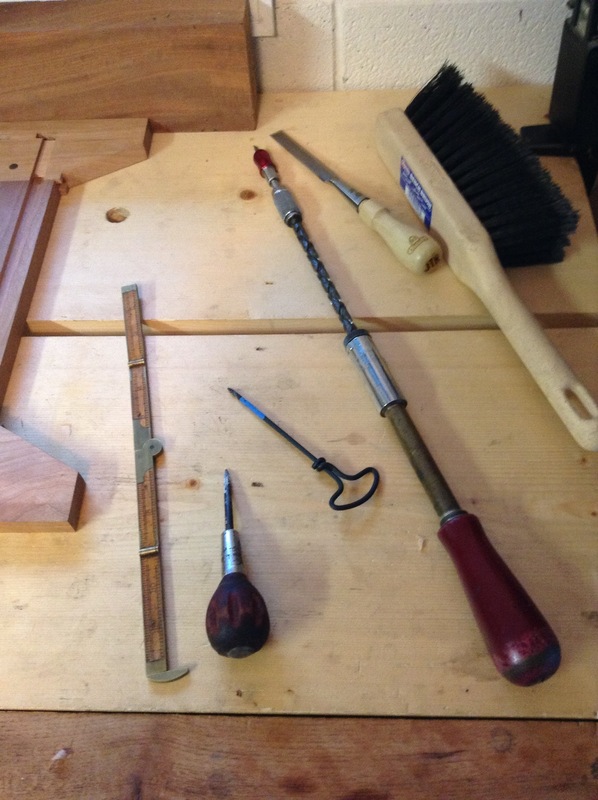 It’s a hand tool that you hold in your hand…no brace or drill. 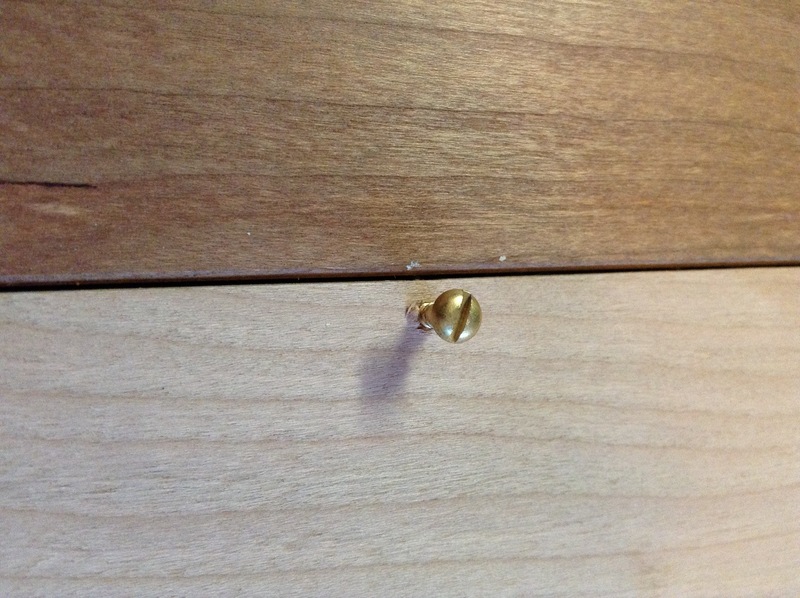 The gimlets are sized according to screw size so you can tailor them to your brass screws. Perfect. 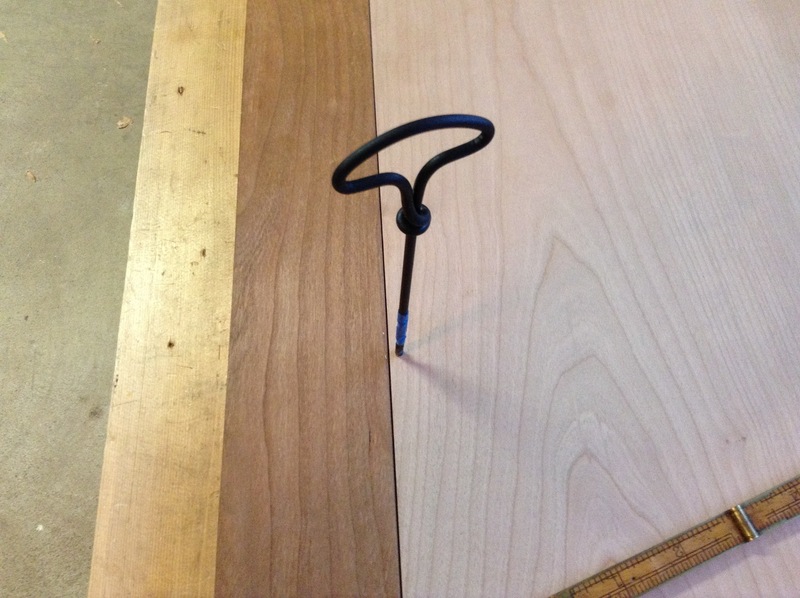 This would pre-cut the screw hole in the panel frame and drill through the ply at the same time. All preventing the brass screws from stripping. 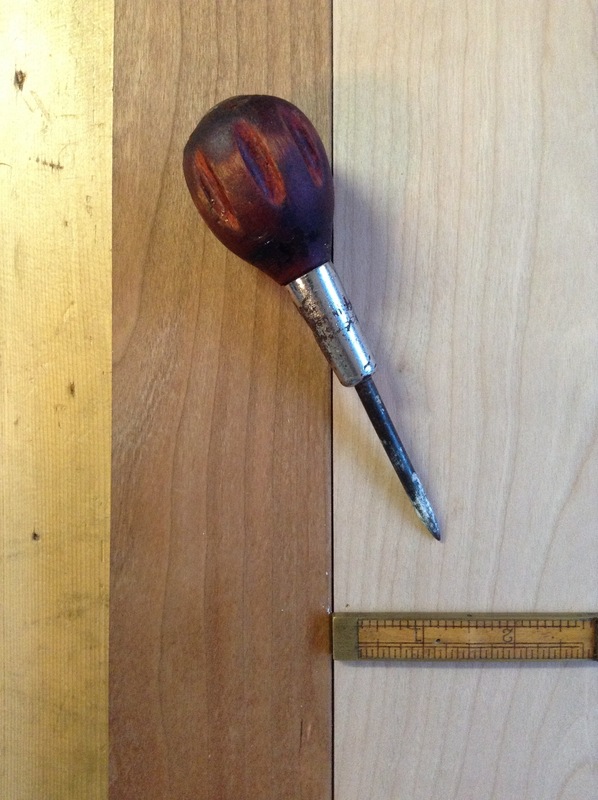 I marked out where the screws should be with ruler and awl. Then, pre-cut and drilled with the gimlet. Then finally, drive the screw home with a spiral ratchet screwdriver…making sure to clock my screws of course. 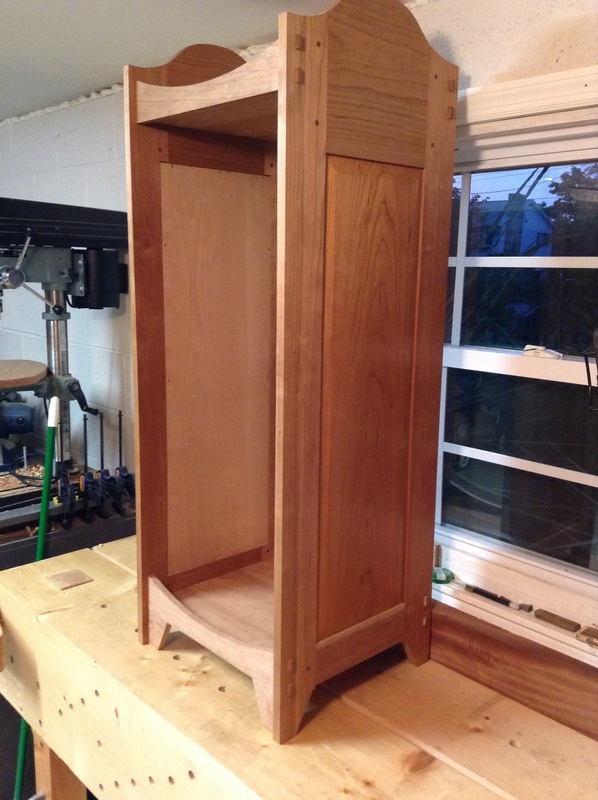 This entry was posted in Chiffonier, furniture, hand tools, VCF, woodworking and tagged brass screws, cherry, chiffonier, furniture, gimlets, hand saw, hand tools, mirror, woodworking by villagecustomfurniture. Bookmark the permalink.